Description: Begins with some facsimiles of Tablets of `Abdu’l-Bahá to the author. Has a biographical description of the author by Dr Iqtidáru’d-Dín Mustafánizhád. The bulk of the book consists of the poems. 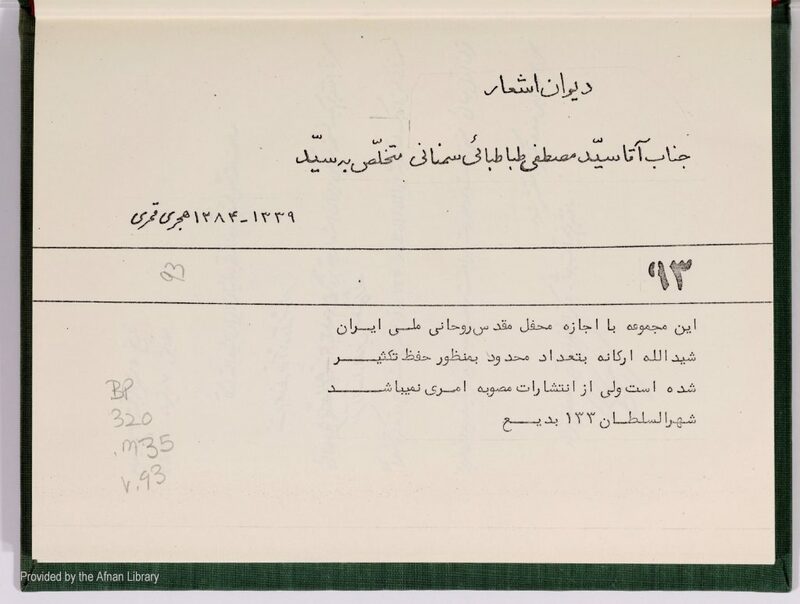 There are also some appendices consisting of letters and an article from al-Bishárat. 138 pp. of ms. (142 pp. of PDF).